The Global SOF Symposium - Belgium will be the 4th Global Special Operations Forces (SOF) Foundation event in Europe. The previous year's event in Madrid, Spain, brought in 400+ attendees from 30 Nations. Join us on October 1-3, 2019 in Brussels, Belgium for this unique opportunity. 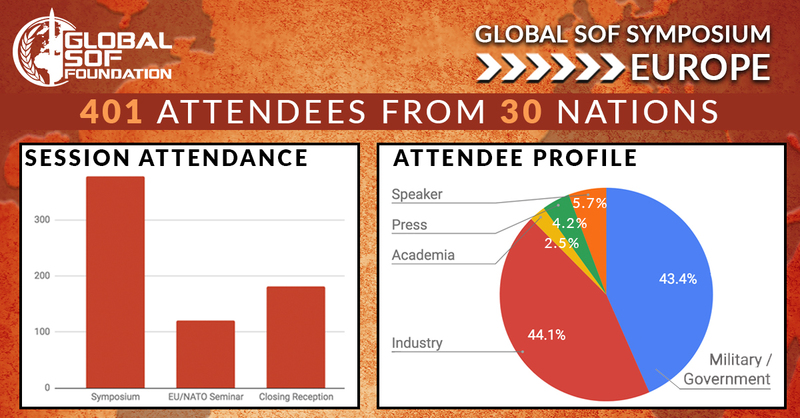 Sign up and receive updates about the 2019 Global SOF Symposium - Europe.